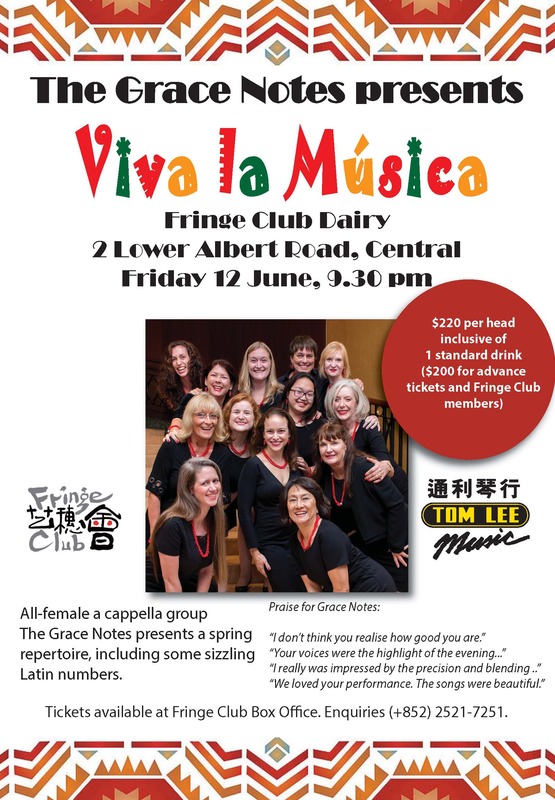 Come and join Grace Notes at The Fringe Club on June 12th, 21:30pm as they present Viva la Musica! Tickets are available at the Fringe Club Box Office. For inquiries please call (852) 2521-7251.